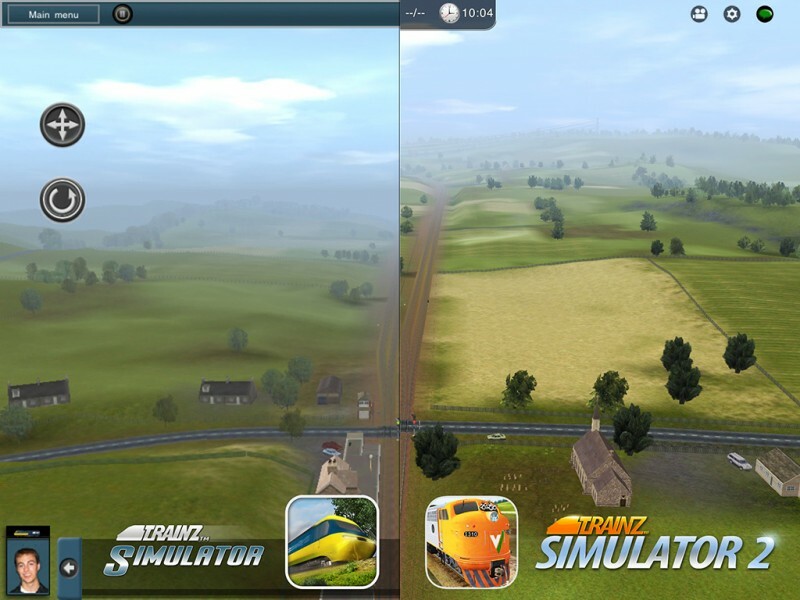 Trainz Simulator 2 for iPad is the Next-generation Train Sim for mobile! 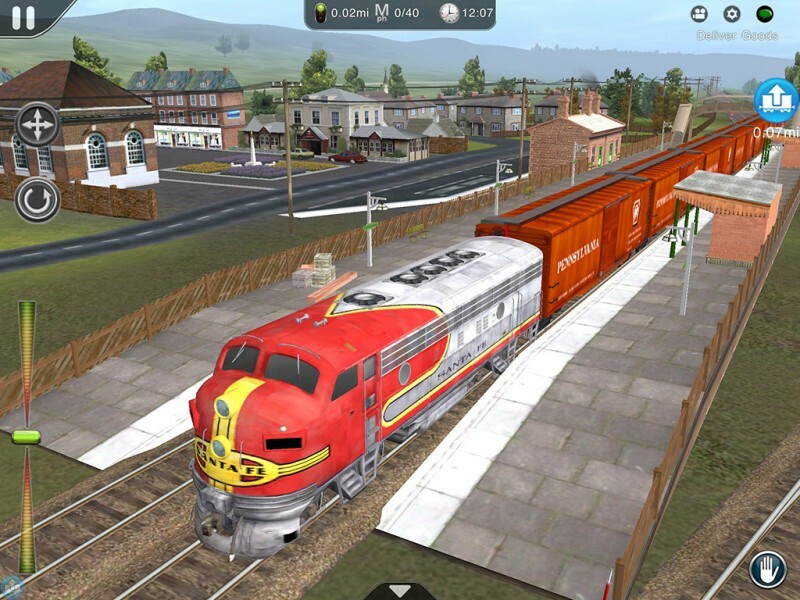 TS2 offers all the original features of Trainz Simulator while pushing the boundaries of mobile once more with many new features for you to experience. 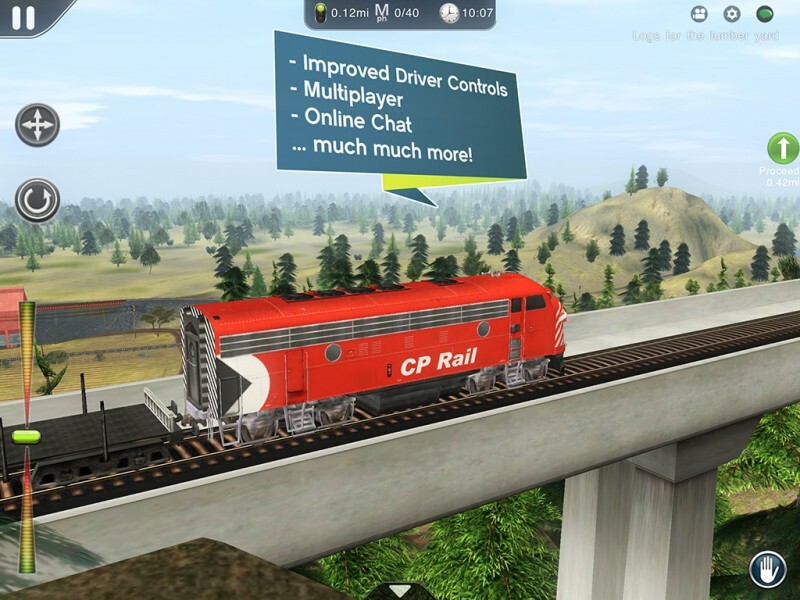 Multiplayer - operate a real railroad with other players from around the world! 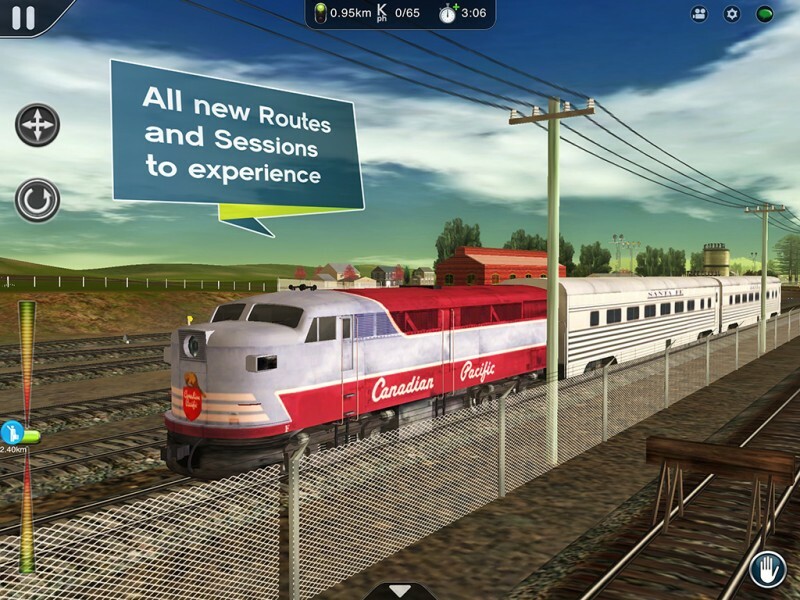 Prepare yourself for the most realistic Train Simulator on any mobile device! 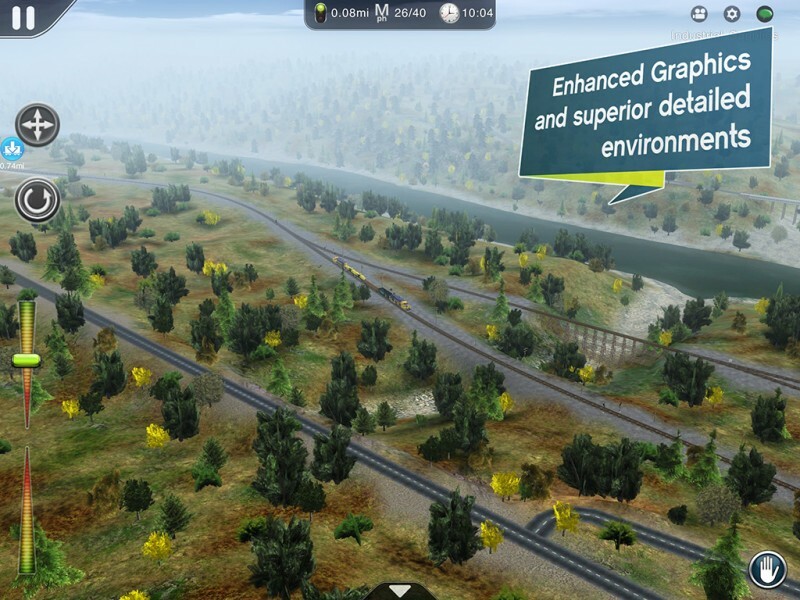 your own living railroad using our advanced route creation tool called “Surveyor”. makes driving Trains, laying tracks, creating layouts and completing scheduled tasks a breeze. 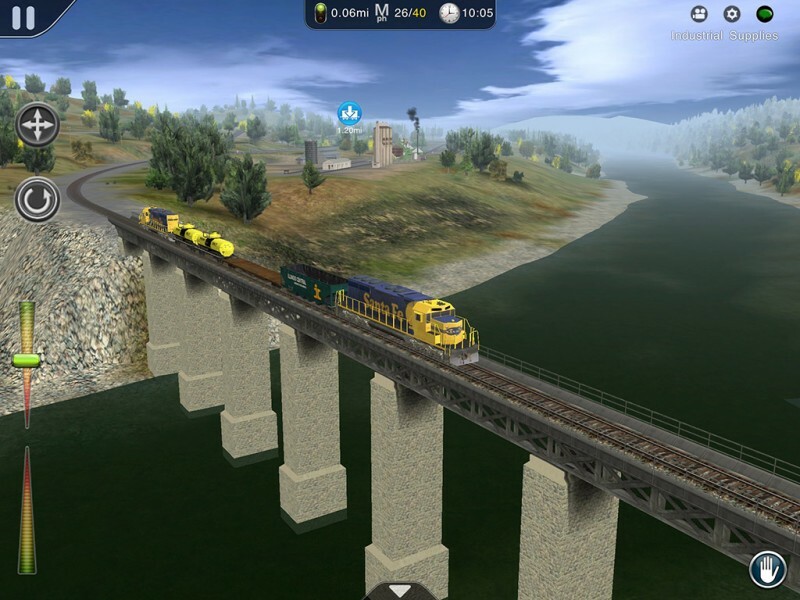 Take Trainz with you anytime, anywhere. Based on the successful PC & Mac franchise, Trainz Simulator 2 allows you to Build and operate the railroad of your dreams. 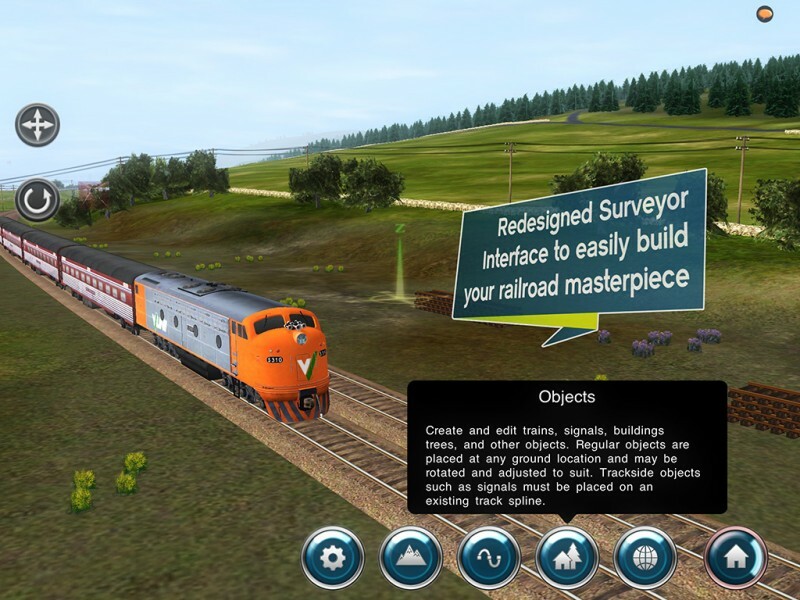 Trainz Simulator 2 for iPad includes everything you need to build and operate your own dream railroad. 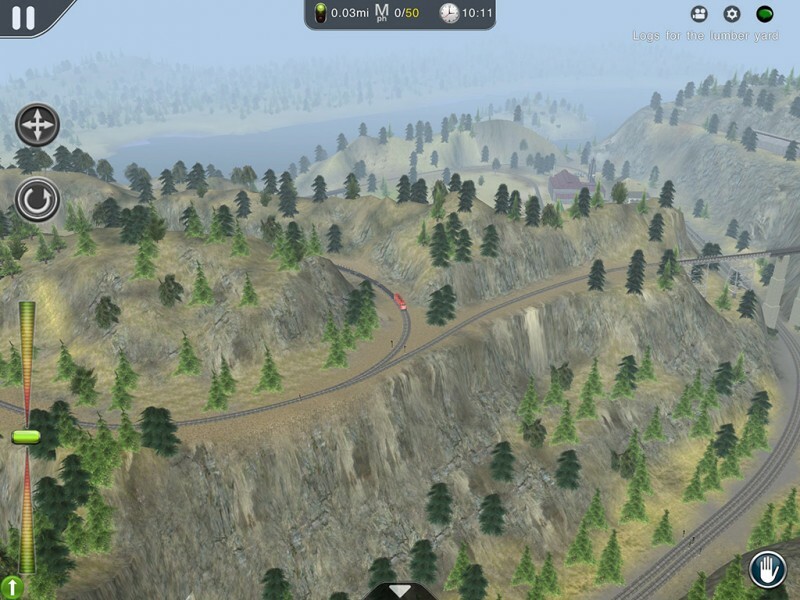 You can build a fun layout in minutes, faithfully recreate a railroad from days gone by or develop a fully-fledged prototypical route; the choice is yours.